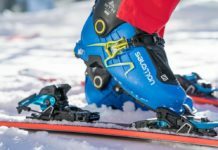 The modern snowmobile is a convenient and fun machine for outdoor winter sporting. Learn safety tips and operation of snowmobile. For the beginner or novice snowmobiler a training course or thorough introduction to the machine is advised. Today’s snowmobiles come with electric starters and a backup pull-cord starter. In the USA, laws vary from state to state and sometimes even county to county. The snowmobile rider should research in advance what requirements may exist to legally operate an off highway recreational vehicle. Riding a snowmobile in cold, winter weather can prove a challenge to keep the body warm. The rider should take special precaution to not put limbs or body parts near the moving parts of the snowmobile. Special sleds that are designed to hold two riders can be a safe and enjoyable way for two people to snowmobile together. Single rider sleds should never be used by two people – the second rider can fall off and risk bodily harm from the snowmobile’s track or from being run over by a close-following sled. In addition to any local riding laws the basic rules of the trail should be observed by all riders. Whether the rider is conservative or adventurous, snowmobilers find the sport very pleasurable. 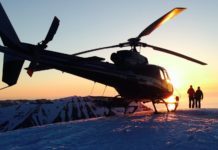 In many cases a snowmobiler can reach very remote destinations that wheeled vehicles would be unable to. 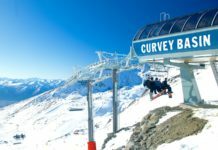 This gives the rider the unique opportunity to experience and enjoy nature’s winter wonderland without a crowd. Respect for the environment and wildlife of the area is necessary for riders to continue to enjoy the occasion. A flat, open clearing in the forest is a great venue for the riders to increase their speed and play around. Races and stunts can be conducted in a clearing without fear of a blindspot on a trail. Overall the sport of snowmobiling is fun and safe when riders obey local laws, general rules and ride as a defensive and sober driver. The sport can turn dangerous, and even deadly, when the rider stops observing the guidelines and throws caution to the wind. Snowmobiling offers many benefits, including close access to nature; better physical and mental health, and the opportunity to spend time with family and friends. Snowmobiling is an excellent activity for individuals who need an incentive to spend more time outdoors during the winter months. When winter arrives, people often struggle to find the motivation to get outside, opting instead to hole up in their homes and wait out the season. 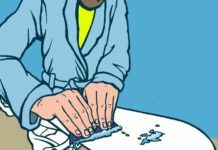 Yet, spending too much time indoors can lead to feelings of boredom, sluggishness, and even mild depression. When done safely, snowmobiling can be an effective way to combat the winter doldrums and invigorate both the body and the spirit. Snowmobiling is an excellent way to gain a new perspective and develop a new appreciation of nature. With over 25,000 miles of groomed and marked snowmobile trails in North America, snowmobiling is a great way for individuals to view areas that are otherwise inaccessible during cold winter months. Snowmobilers are also privy to eye-catching scenery and are often able to witness local wildlife in their natural habitat. Current statistics indicate that the average age of a snowmobiler is 43 years old. This number is decreasing as a growing number of younger individuals take up the sport, but it goes to show that snowmobiling is an activity enjoyed by people of all ages. Snowmobiling gives individuals a fun reason to get outdoors during the winter, and increasing the amount of time spent outside in the sun is an effective way to combat Seasonal Affective Disorder, a type of depression that often occurs during the autumn and winter when the days shorten, decreasing the amount of natural light a person receives. Snowmobiling is also good exercise. 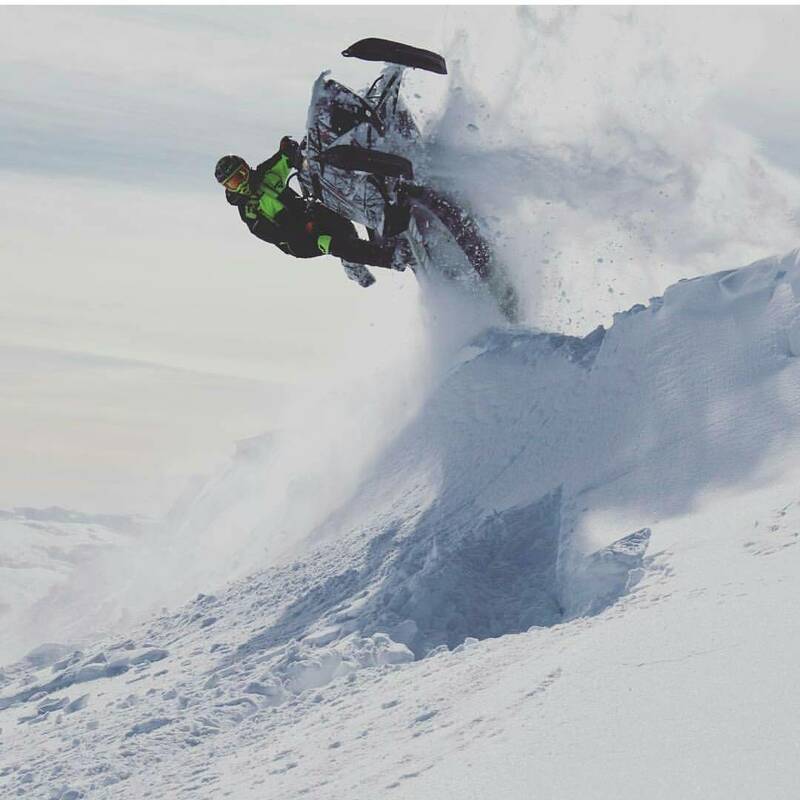 Many people assume that snowmobiling is a relatively sedentary activity because it largely involves ‘sitting’ on a machine; what they may not realize is that snowmobiling helps to build strong core muscles, and that it requires both strength and flexibility to operate a snowmobile. In fact, snowmobilers burn an average of around 238 calories per hour. 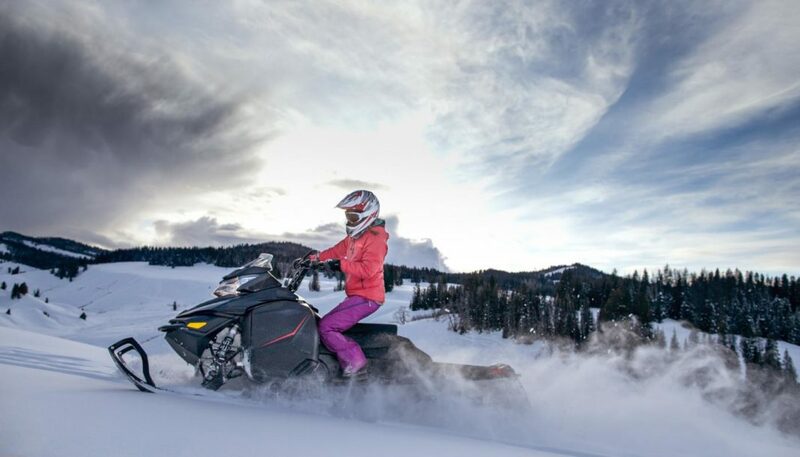 According to the International Snowmobile Manufacturers Association (ISMA), more than 94.5 per cent of snowmobilers consider it a family activity, and most snowmobile owners are married and have children. The ISMA also notes that individuals who snowmobile at a young age continue to snowmobile with their parents throughout their lives, sharing great experiences as a family. 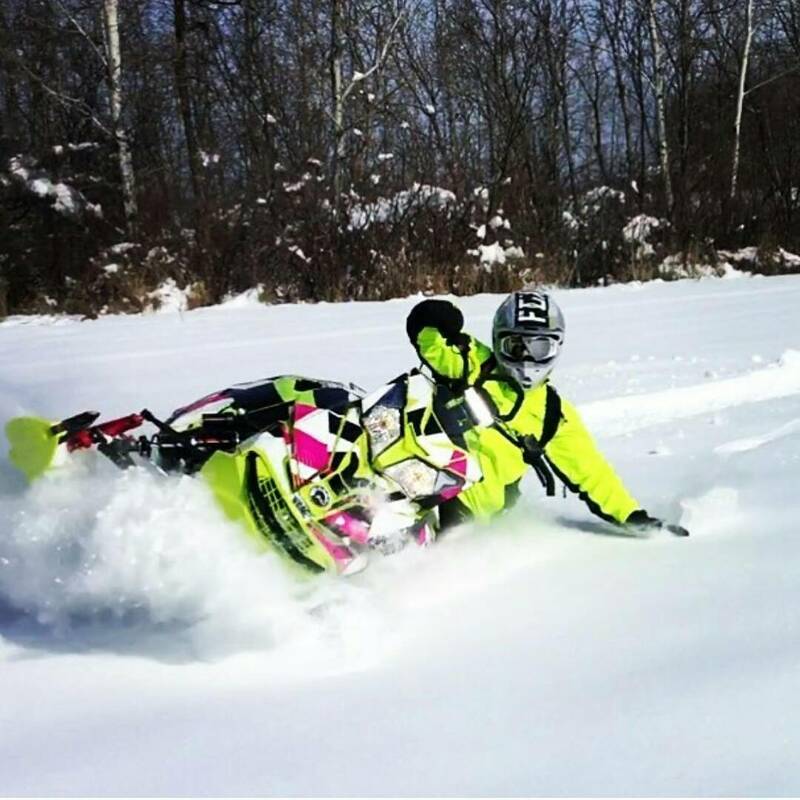 Snowmobiling is also a great way to meet new people and develop new friendships. 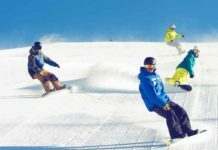 In fact, there are more than 3,000 snowmobile clubs worldwide, many of which offer group events and activities, and all of which welcome new members. Generally, snowmobilers are often involved members of their communities. 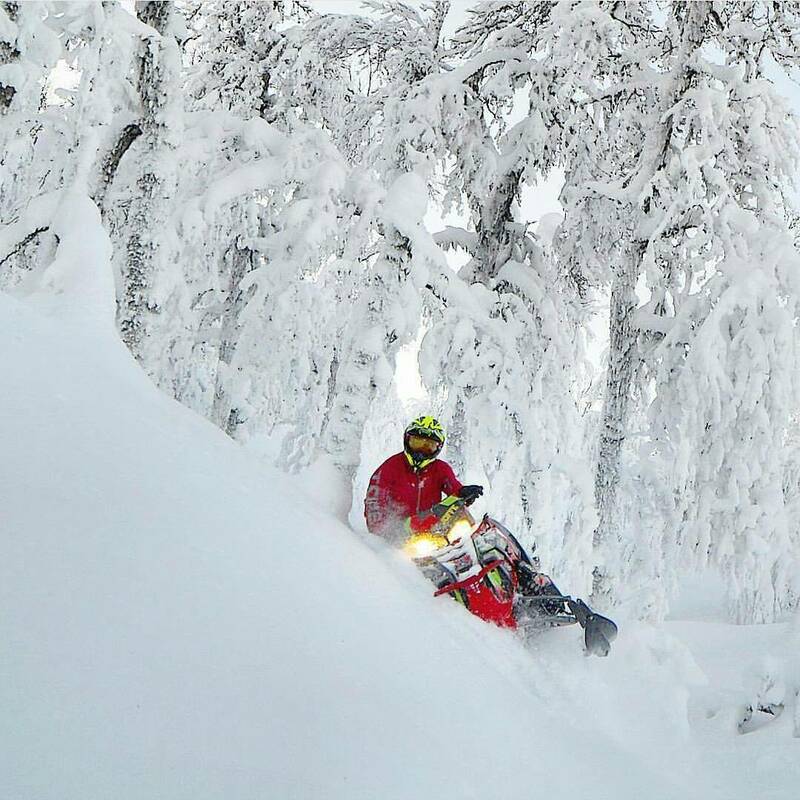 The ISMA reports that snowmobilers raised more than $3 million for charity during the 2008-2009 season, and there are currently 40 registered non-profit organizations that specifically represent snowmobilers across Canada, the United States, and Scandinavia. Whether a person is a novice rider or an experienced snowmobiler, it is important that they familiarize themselves with safe snowmobiling practices so that they may enjoy the benefits of snowmobiling for many seasons to come. Unfortunately, snowmobile accidents, often caused by careless or reckless behavior, result in numerous injuries and deaths each year. For example, according to the Wisconsin Department of Natural Resources, there were 23 snowmobile related deaths in Wisconsin alone last year, while Minnesota statistics recorded 10 deaths in 2008-2009. With nearly 2.5 million registered snowmobiles expected to hit North American trails this season, it is important for all snowmobilers to ride with caution and follow safe snowmobiling practices. Snowmobile laws vary by state and province. 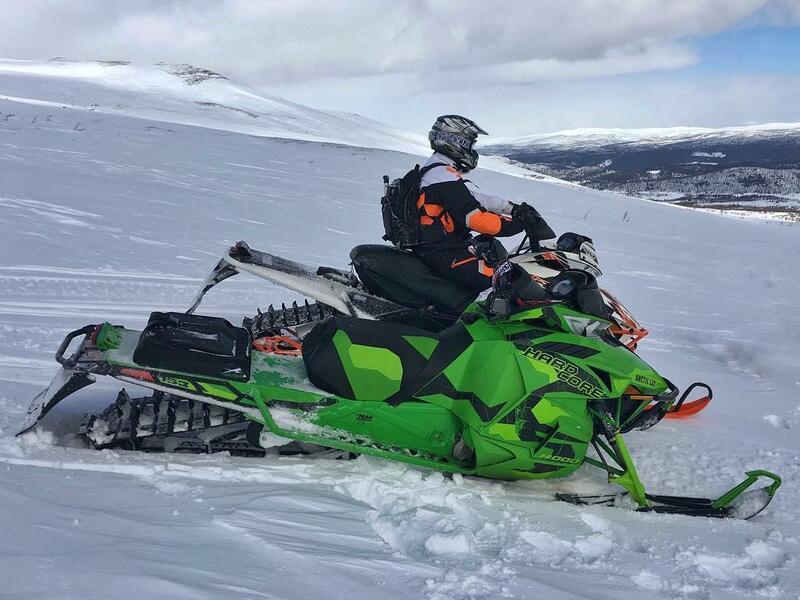 Some have age restrictions for snowmobile operation, while others require operators to carry a registration or license with them while snowmobiling. Snowmobilers should make certain they are aware of the local laws and regulations for any area in which they plan to ride. Alcohol or drugs and snowmobiling do not mix. In most states and provinces, it is illegal to operate a snowmobile while under the influence of alcohol or drugs – and for good reason. As with motor vehicles, alcohol is a leading cause of snowmobile injuries and deaths. In addition to impeding a person’s ability to make good decisions and slowing their reaction time, alcohol also acts as a blood thinner, increasing the risk of hypothermia. All snowmobilers should invest in a snug-fitting, safety-certified helmet. Visors are also valuable when it comes to maintaining visibility while driving and protecting against wind chill and debris, although snowmobile goggles will also work. Of course, warm clothing is essential. Snowmobilers should dress in layers to help them adjust to changing weather conditions if they are planning an extended trip. Warm gloves and boots are necessary, but scarves are not recommended as they can become tangled or caught, causing a safety hazard. 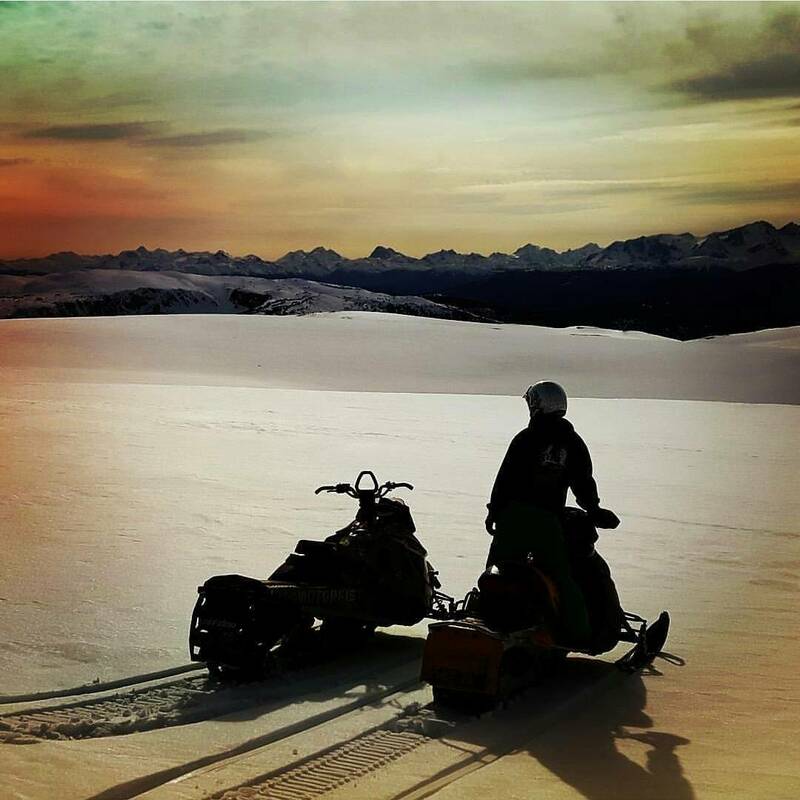 One of the biggest draws to snowmobiling is the fact that it allows participants to access scenic landscapes that are otherwise inaccessible during the winter. However, this also means that it can be difficult for a snowmobiler to find help should an accident occur. For this reason, it is important to always snowmobile with a buddy, and to make others aware of the planned route so they know where to look should something go wrong. 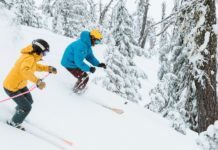 There are more than 225,000 miles of groomed and marked trails in North America, designed to eliminate or identify hazards so that snowmobilers can proceed safely (trail maps can usually be obtained by contacting a local snowmobile club). 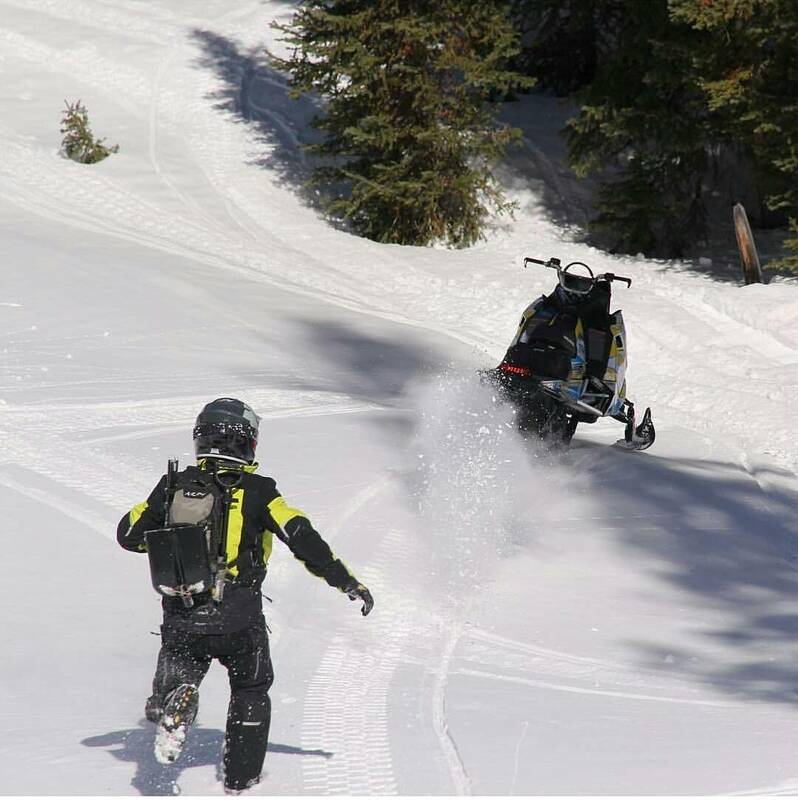 Whenever possible, snowmobilers should take advantage of their local trail system; however, situations may arise where a snowmobiler must take an unmarked route. Snowmobilers who plan to travel cross-country should make sure they are aware of any potential hazards, including roads, culverts, fences, etc. – in the area. 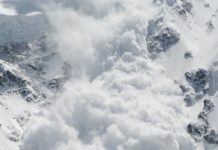 They should also practice extra caution following a fresh snowfall – even in areas in which they are familiar – as the new snow may cover or hide dangerous obstacles. Snowmobilers should be particularly cautious when crossing bodies of water. The first step to crossing a frozen lake or river is to make sure the ice is safe to cross. Along with impaired driving, drowning is a leading cause of snowmobile related deaths. As a precaution, snowmobilers can wear floater suits and carry an ice pick. The ice pick should be attached to the person, not the machine. Snowmobilers should also become informed of proper safety procedures in case they or someone they are traveling with breaks through the ice, including how to get free of the water and how to prevent hypothermia. By following these safe practices and using common sense, snowmobilers can get the most out of this winter activity and ensure they are around to enjoy the sport for seasons to come.